The M9A1 Compact With Rail Inox is a smaller and lighter variation that features an attractive and super-resistant stainless-steel (Inox) finish. 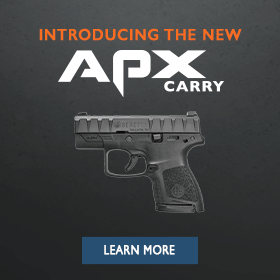 Its many tactical features, ruggedness and absolute reliability make it a great choice for on- or off-duty carry, as well as personal defense or concealed carry. New for the 92 Compact series, a 1/2x28 threaded 4.8” OAL Barrel. This tactical pistol comes with the popular 3-dot sighting system, enabling instinctive target acquisition and accurate shooting. The frame is constructed of a special aluminum alloy: light and tough, it makes the 92 Compact with Rail Inox easy to carry concealed as well as durable. The two-position safety may be easily operated with either hand, to accommodate right- and left-handed shooters as well as different ways to grip and operate the firearm. The aggressive checkering on this tactical pistol ensures a positive grip under the most demanding conditions--even while wearing gloves. The "square" trigger guard makes it easy for the supporting hand to gain a secure and comfortable grip; also, the mag-release is situated where it is most easy to operate. The rounded external hammer of the 92 (as well as of this variant) offers all the advantages of a visible hammer, plus a sleek and snag-free profile. The open slide design typical of the 92 family is noted for its superior reliability as well as light weight. In particular, it virtually eliminates stove-piping. The built-in accessory rail enables easy attachment of a variety of tactical accessories without any modification to the handgun. The mag-release can be easily reversed by the user, without any gunsmithing. This tactical pistol is as durable as it is attractive, thanks to the tough and corrosion-resistant brushed stainless steel of which it is constructed.